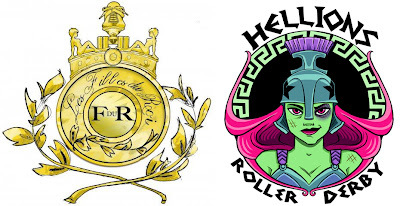 What an incredible weekend for the Hellions! 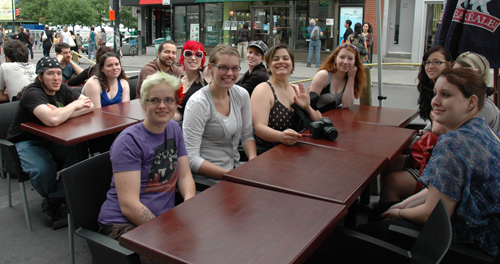 A bunch of us headed up to Montreal on Friday, and the majority of us packed in to Auberge de Paris, a hostel in downtown Montreal. It was a good, good time. I drove up with Massacre, Sally Mae Hurtyou, and Escargot. 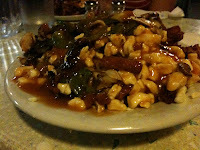 First stop after checking in: Resto La Banquise for poutine. Others went out to celebrate Knockout Kid's 21st birthday at midnight! On the hostel patio Saturday morning. On Saturday we met up at the crack of 10:30am (well, that was the plan, it was more closer to 11:30 by the time everyone met up at home base) to do some exploring. 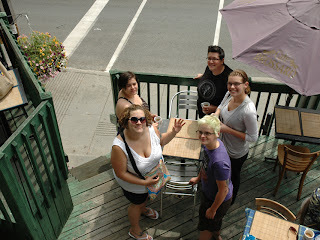 One group went off to enjoy some omelettes (I heard they were ok), and I went off with others to find crepes. We did find a place ... but I think the staff at the restaurant hated our huge group of thirteen Americans, only two of which could speak enough French to get by -- the waitstaff couldn't (didn't want to??) communicate in English with us. So -- the crepes were ok, the service confusing, and we left with cultural stereotypes stirring in the minds of both parties. Sorry for the language barrier, crepe place! Then we went off to enjoy more of the city! 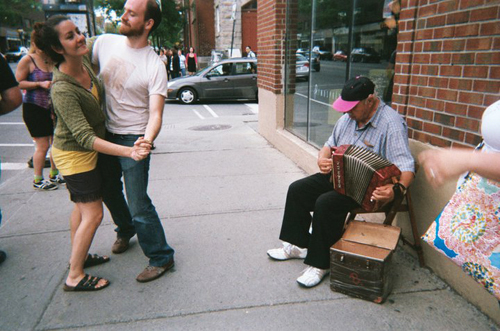 Elsewhere, Pork Slap and Jon Matthis cut a rug in the street. After our fun afternoon, it was time to head back to the hostel to get ready for game time... and at this point we had just found out that we would also be on DNN that night - our excitement was through the roof! Me and Daisy Duke-Ya from Skyland. She's way nice! 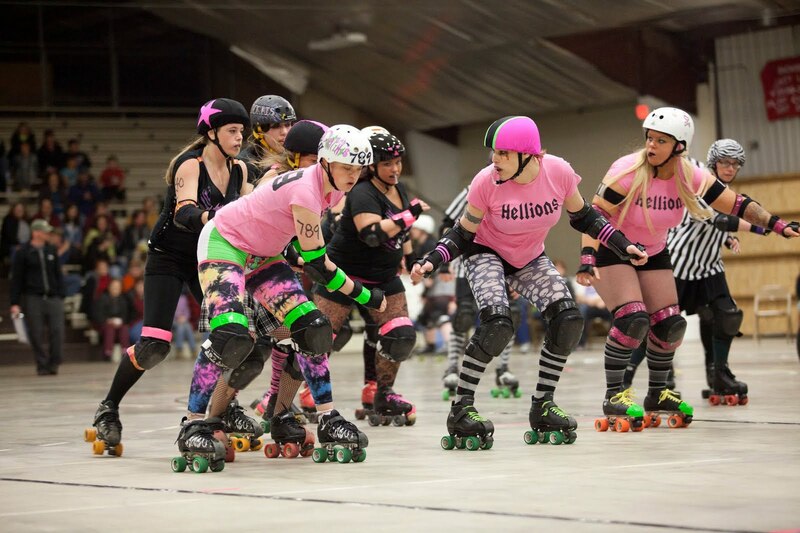 The Hellions earned a narrow victory over the Skyland Roller girls on Saturday, June 4. 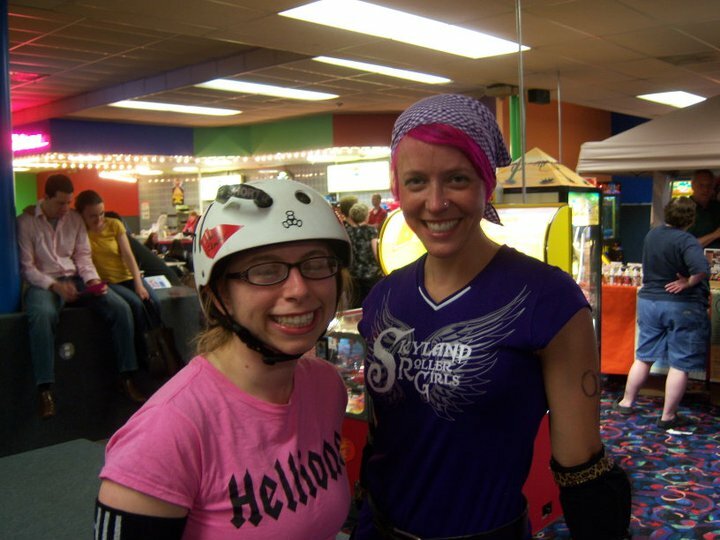 This was the first bout of our summer season - our last home bout at Rollarama was in March against the Killah Bees from Rhode Island, so we were raring to go! The Skyland girls were great! They were strong players and it was a close game the whole time. I like these pictures because the Skyland pivot is in a very serious stance. In the first one, I, as pivot, look a little too relaxed (oops), but in the second one, Knockout is ready to roll too. Like I said, this was a close and intense game... kind of nail biting even! The final score was 106 Hellions - 93 Skyland. We had a small lead at the half, and it was tied at one point in the second period. It's not all about the score though. We hadn't had a game this close in a long time. Thank you so much to Skyland for coming up to play us! Congrats to the bout MVPs, Hanna Solo and Daisy Duke-Ya! 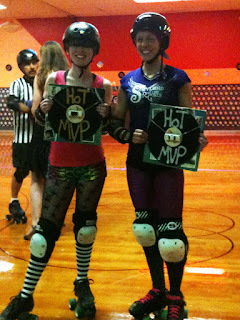 Oh, and I need to mention - we had some WIPs at our bout... Wicked Important People... Wicked Skatewear that is. B-Train, Quadzilla, and Strych9 were in town! The previous evening they were rocking an Albany All Stars event - Wicked Hijinks (which btw, was a good time!) so we invited them to our bout the next night. They are all WAY nice and I even saw Quadzilla jump out of his seat when Naughtia Nitrous landed a big, big hit. 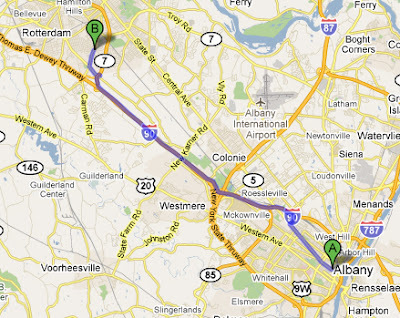 On Saturday, May 14 we hit the road for New Jersey. Oh New Jersey. 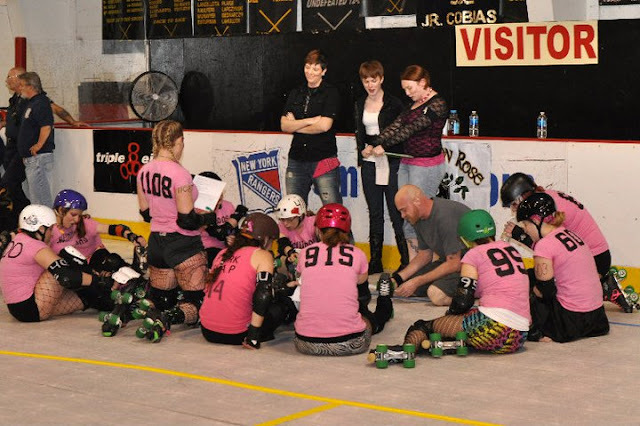 This was a double header with Suburbia Roller Derby (Westchester, NY) vs. the Garden State Ironbound Maidens, and the Hellions of Troy vs. GSR's Brick City Bruisers. New York took the win for both games! 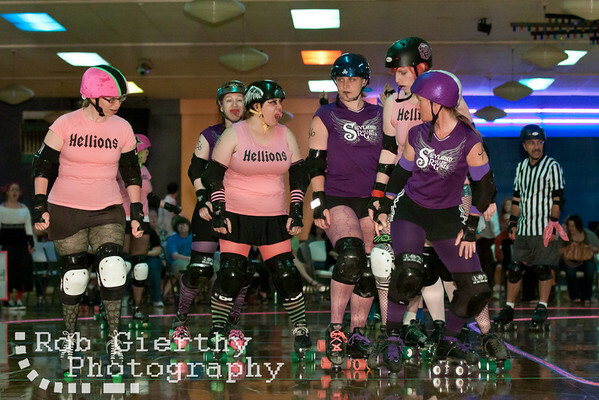 The Hellions took the win over Garden State this weekend: 183 – 72. Like my catch-up recap for the URG bout, I'm sorry I don't remember a ton of details bout the game, but here's some quips from the weekend in general! I can't tell you how much fun I had that weekend in New Jersey. We did pretty good. I think we took as few cars as possible to get down. I rode down in Disharmony's Prius with Pork Slap, Escargot, and Sweet Madness. Baby Nuclear and I played "team moms" this weekend and coordinated actually 14ish people between the two rooms at the hotel. 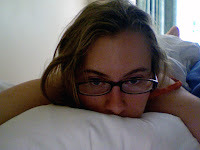 There was swimming, Red Robin burger eating (not the best choice before bouting - FYI), and climbing out hotel windows. Lehman and Storm saving the world from zombies! Photo by Ida. But back to the bout... New Jersey's venue is great! It's like Rollarama and a hockey arena had a baby. We took advantage of the arcade before the bout started ... the skating surface was nice and I got to see Sean "Hale Yeah" the photographer in person again. Speaking of which, he got some great photos! Eloda's parents also made the trip down. I count them amongst the Hellions SUPER FANS. Pork Slap IS awesome. And Ed made that sign himself. 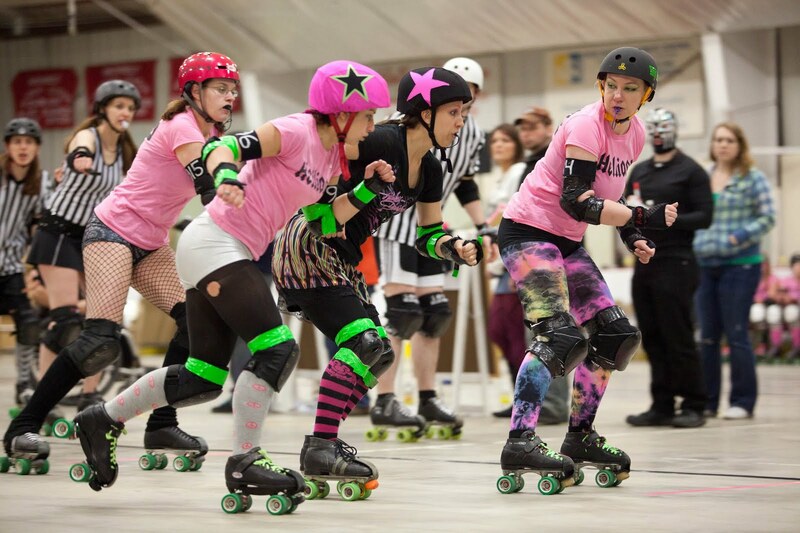 On Saturday, April 23 we shipped out to Utica, NY to take on the Utica Roller Girls. I was excited about this bout as I was selected to be the captain, and we also had three brand new players on the track: Explosive Echo, Lehman Smothers, and Naughtia Nitrous! 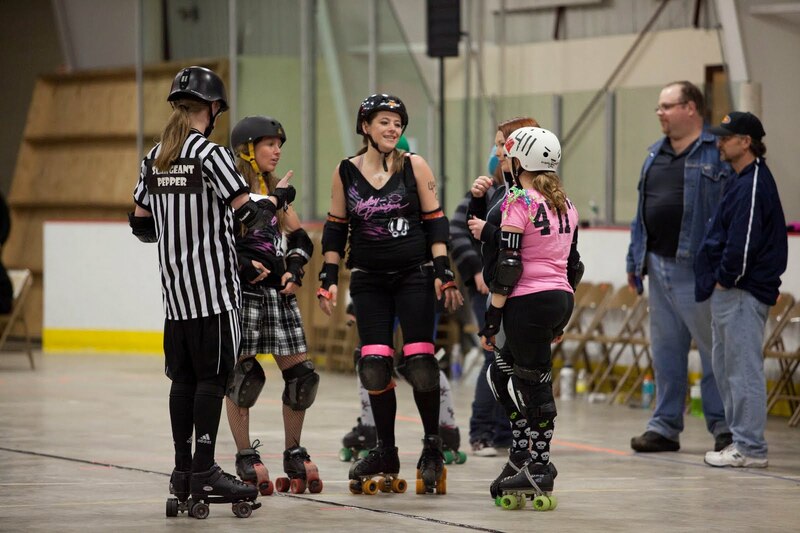 It's crazy - I can't remember derby WITHOUT these girls now! Look at all those lovely women!! I love bouts with new girls. URG also fielded several new players. Being the captain was an interesting experience. 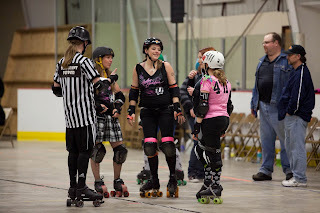 As captain, you have the special privilege of being able to (respectfully) address the referees (believe me, they only want to deal with one or two screaming/upset players, not a whole team). We'll be at Troy Night Out tonight. Stop over to Monument Square (you know, that area around the giant statute of the women blowing the vuvuzuela) around 6pm. 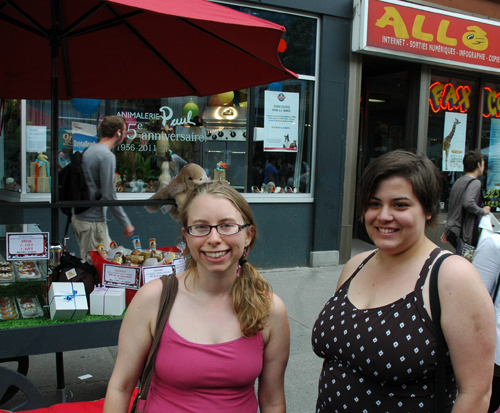 Last summer we were at 2nd & Broadway. See ya tonight, rain or shine! 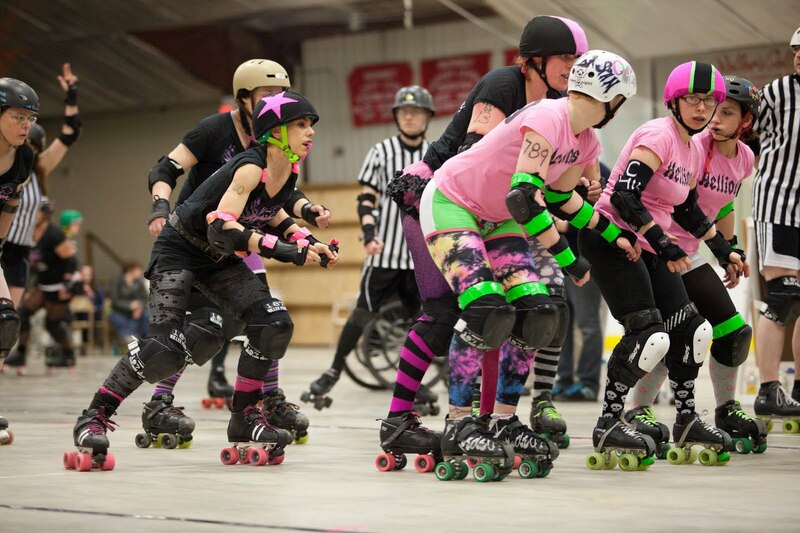 Tonight's bout in Canada - Hellions vs. Montreal's Les Filles du Roi will be broadcast live on Derby News Network. The game begins at 7pm est. Miss it live? The bout may be archived - check back here for a link. Hello from our beautiful castle-like hostel in Montreal! A large number of Hellions rolled into the city yesterday evening and proceeded to take control. 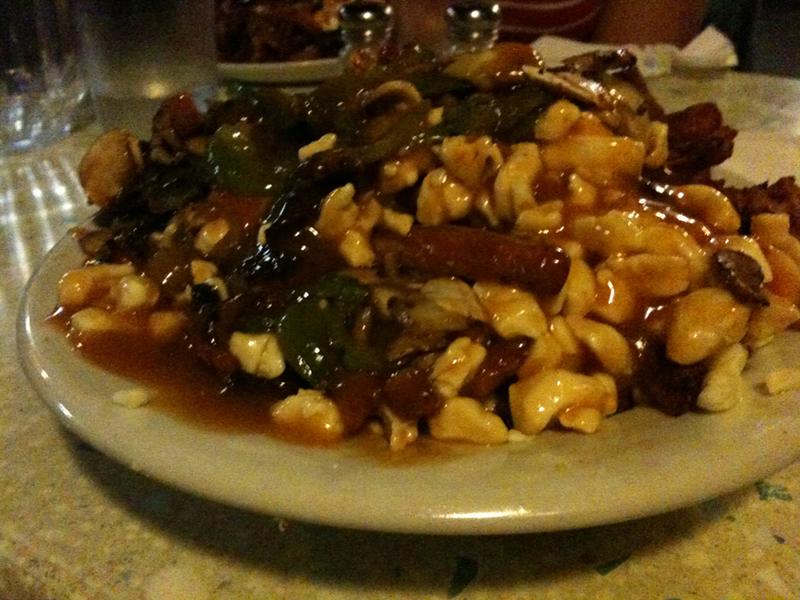 Actually, my first stop was poutine at Resto la Banquise on Rue Rachel. This is what I feel like today due to fries, cheese curds, and gravy (photo right). 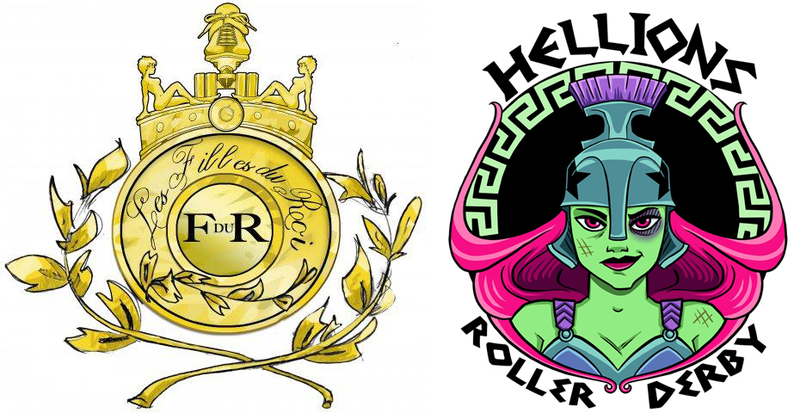 Today we take on one of Montreal Roller Derby's home teams, Les Filles du Roi. This means "the Kings Daughters" in French. Especially since I will be watching from the sidelines. 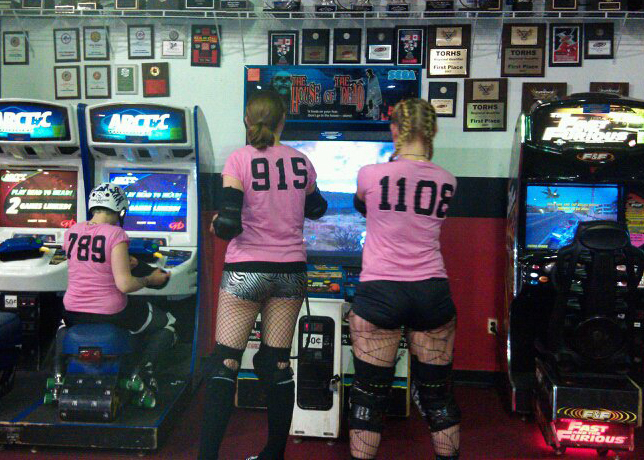 I'm an alternate for this bout (player 15 or 16 on a 14 person roster). It's all good. After watching my teammates at practice, I'm really excited to see how we do tonight. Our coaching had some good drills for us to work on this past week. So excited!! 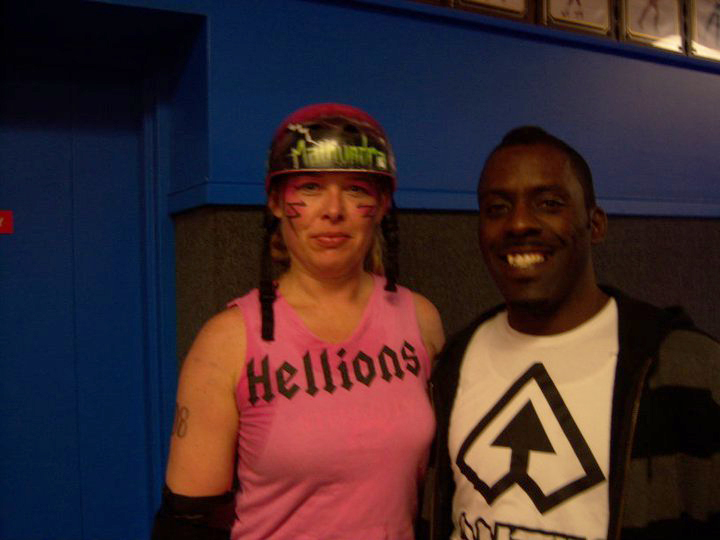 Hellions bout TONIGHT! And Rollarama is closer than you think. Woohoo - bout day! Doors at 7pm @ Rollarama in Schenectady. 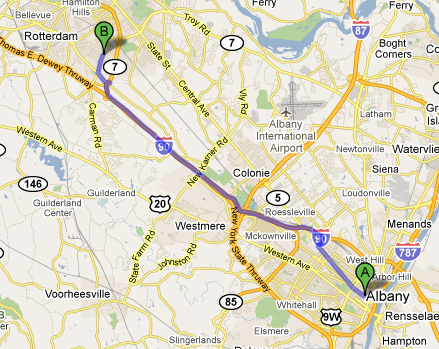 Y'know, getting to Rollarama from Albany is a lot easier than you might think. It's a straight shot over I-90 West. Only 20 minutes from downtown ALB. Easy. Some people are surprised we play in Schenectady, but really, Rollarama has a great skating surface! 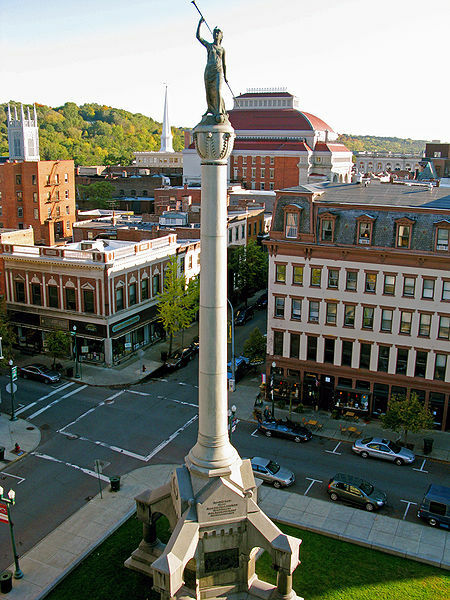 Also, it's not the "Schenectady" you think it is. Rollarama is not in downtown, and there's good amount of parking - if not in the rink lot, but also in the car wash next door.